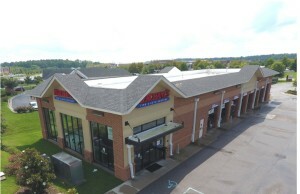 Reston, VA – April 17, 2012 – (RealEstateRama) — Calkain Urban Investment Advisors recently completed the sale of a four-tenant, retail investment property in Washington, DC. The purchaser was a private investor/developer seeking an income-producing asset with a strong upside. The property, WY18, is a charming residential condominium in the heart of Adams Morgan. Adams Morgan, one of the District’s most diverse neighborhoods, has streets ripe with multicultural eateries, eclectic shops and vibrant, charismatic nightlife. Rick Fernandez, Calkain Urban Investment Advisors’ Managing Director, represented the buyer and seller. “The WY18 retail condos are well situated within a dense, high traffic location in an affluent, diverse residential and retail community. The buyer saw significant opportunity in the location and potential of this asset,” explained Fernandez. The transaction closed in the past thirty days. Calkain Companies is a boutique commercial real estate brokerage firm which specializes in assisting buyers and sellers with single and multi- tenant retail, industrial, hotel and office net-leased transactions. While licensed to conduct business in many states, nationally, Calkain has multiple office locations throughout the Mid-Atlantic, Southeast and Northeast United States. Additional information about the firm and listings may be found at www.calkain.com. We are a national commercial real estate firm that provides consulting and brokerage services to both private and institutional clientele with an expertise on triple net lease investments.